VoIP phone systems provide voice services by sending communications as data packets over the Internet. Yet there are different ways in which this process can be managed. This overview introduces and explains the different types of VoIP technology and why a business might need to understand the differences. VoIP phone calls are made over the Internet, as opposed to traditional phone lines, with the voice signal digitally transmitted. Some VoIP solutions are computer-to-computer only while others allow calling any telephone number — local, long distance, mobile, or international— via computer, a special VoIP phone, or a traditional phone using a VoIP adapter. 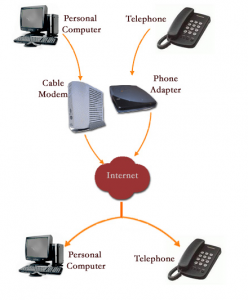 Having addressed the technology choices, there are four main types of VoIP technology. Each option has varying levels of complexity which can impact ease of implementation and maintenance. 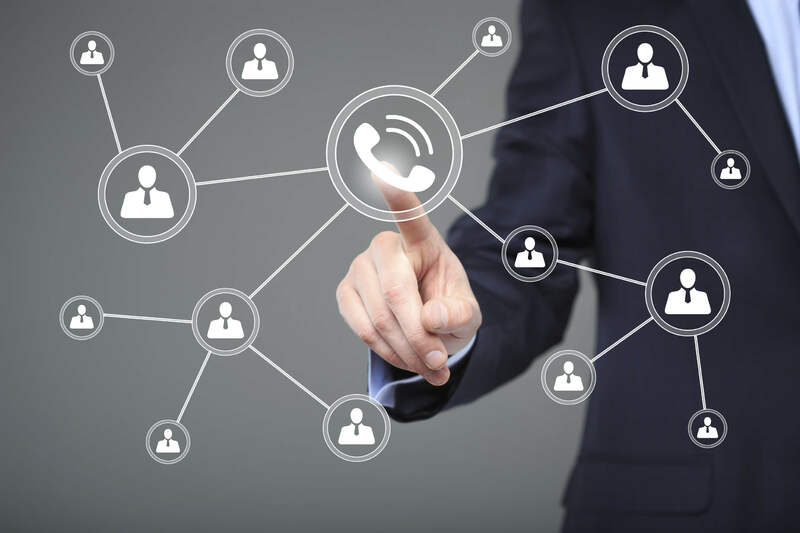 Integrated access is the VoIP service that most mimics the traditional phone line. With integrated access VoIP, businesses integrate VoIP software and existing, legacy phone systems. This approach lets the business keep its old number and equipment while also gaining access to advanced telecommunications features. Session Initial Protocol (SIP) transmits voice and video information across a data network, letting VoIP users take advantage of shared lines and increase their communications flexibility. Because all data is sent over a network, businesses can use SIP trunks to replace traditional analog phone networks or use a VoIP gateway to integrate SIP trunking with legacy phone systems. What most people envision when they think of VoIP, this VoIP solution sees a vendor host and operate the private branch exchange, offering unified communications solutions. The business connects to a hosted cloud-based PBX network via its IP network. Phone system hardware is maintained off-site by the hosted IP PBX vendor, and all responsibility for the hardware, software, maintenance, security and upgrades all falls on the hosted PBX provider. This can greatly decrease the maintenance and training requirements that businesses take on internally, as well as decrease the initial investment into phone system hardware and setup. Similar to Hosted IP PBX, this version of the unified communication solution is outsourced to a third party that takes care of all management requirements, but instead of phone hardware being off-site, the equipment is housed on-premise by the business. The managed PBX provider typically charges a flat fee, based on number of phone lines, and installs any needed equipment. Configuration, updating and upgrading the technology is also the provider’s responsibility. Understanding these different VoIP services can help a business determine the system that best suits its needs. SIP Trunks, for instance, are more attractive to those who want to install their own technology and manage it themselves, while still connecting to VoIP advantages. On the other hand, managed IP PBX is a good option for those who don’t have the resources to buy and operate their own VoIP systems. The Hosted IP PBX solution frees the business to select the hardware and software that works for them and liberates them from the cost and administrative headache of maintaining both voice and data lines and the related carrier partnerships. 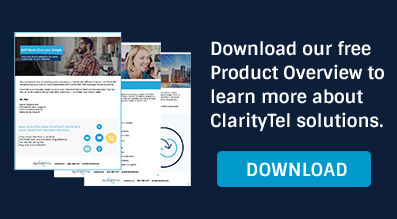 Editor’s Note: This article was most recently updated in 2019 to include updated market forecasts and new VoIP technology information. It was originally published in 2016.